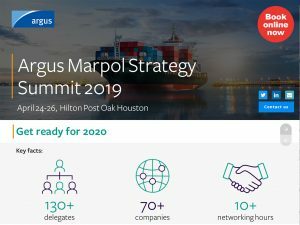 DHD have produced the digital event brochure for the Argus Argus Marpol Strategy Summit which takes place from 24-26 April at Hilton Post Oak Houston. 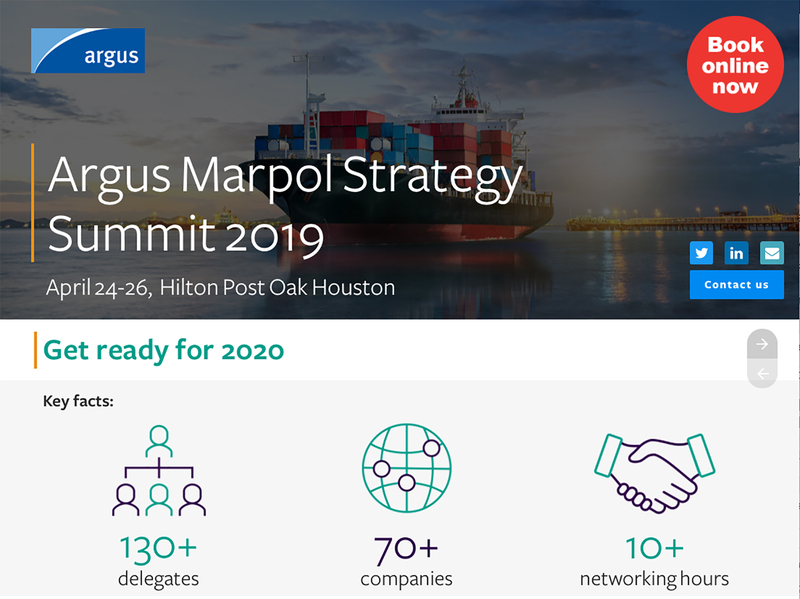 Hear industry experts address the top issues of Marpol Annex VI and understand the specification changes for bunker fuels blending, your compliance options, and the IMO’s timeline for the program. Take advantage of our networking opportunities, including: nightly receptions, lunches, breaks and breakfasts. Plus, get access to our networking app before, during and after the event, to set your meetings and make the most of your attendance.